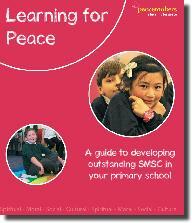 New guide supporting SMSC in primary schools with over 70 activities and games and support for planning and whole school progression. A new children's book, Tommy, by local author Jan Hedge & illustrator Jess Thomas. Available as stand-alone or as part of an educational pack. Author visits also available. A new 250 page publication sharing the experience of developing schools with a global outlook, written by Chinese and English specialists for a global audience. Includes chapters on values, P4C, leadership and evaluation. Only £18 + p&p. More on micro site. Explore resources for pupils and the classroom, for educators and school leaders, for inspiration and solidarity. The resources signposted on these pages represent those currently informing our practice or research (see menu on left) and may be print and/or online. Some may be free, but others may involve a charge or subscription in order to access them. In order to improve access to these resources we also post most of them on our Pinterest pages and boards* as these allow full mobile, cross platform access. You may be redirected to these by some of the links in this site. Pinterest links will open in a new browser window or tab. Some resources are available directly through Lifeworlds and can be purchased using major debit/credit cards or PayPal. We are unable to take payment over the phone from personal buyers, but we will accept phone orders (payable by invoice or BACS) from schools and organisations. *Although our Pinterest pages are managed by us, they exist on a public platform and like all such platforms (Facebook, Twitter etc) are subject to potential misuse and/or security breaches. We can not be held responsible for such incidents and offer the content in good faith.